Social contribution project for the Chantabun historic riverside community preservation and regeneration. The 120 year-old Chantabun Riverside Community on the first street of Chantaburi reflects the prosperity of domestic and international trade relied on Chantaburi river as the main route for transportation and commuting. 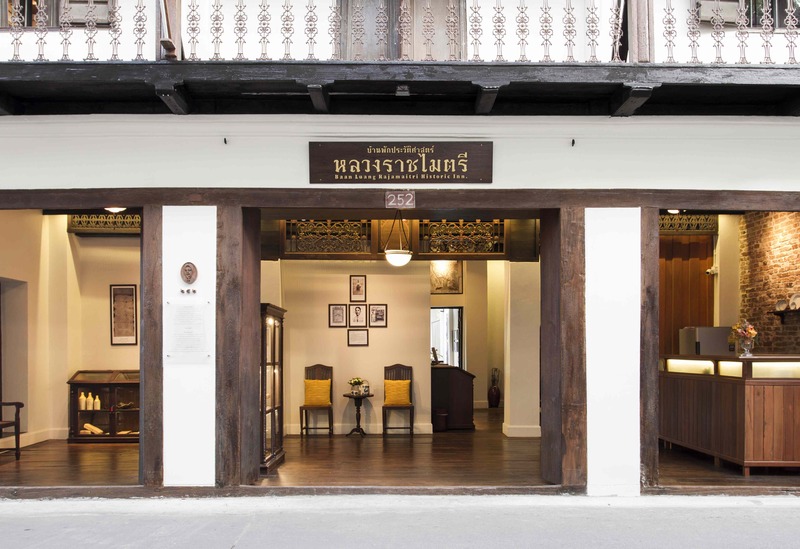 Most architecture in this community were influenced by western and Chinese cultures while maintaining Thai identity through materials and its function. These distinct traits have brought many people to visit the community for more than 4 years with the cooperation with Chantaburi Commerce Office, Arsomsilp Institute, and other organisations to preserve and regenerate the site until it has become “cultured led community” vision. Moreover, Baan Khun Anusorn Sombat was being renovated for community as a learning house for architecture preservation and community regeneration with sustainability. The original lifestyle has been preserved in all dimension including society, culture, and economy without relying solely on commercial tourism. Therefore, Chantabun Riverside Community Development Association has joined the partnership with Ruam Tun Rakdee Co., Ltd. to found Chantabun Rakdee Co., Ltd , a social enterprise, together with Arsomsilp Institution which is a non-profit organisation. The project has commenced with the fundraising campaign to get the share from people in the community, Chantaburi province , and anyone who share the similar ideal to renovate Baan Khun Anusorn Sombat and Baan Luang Rajamaitri as a learning centre for community and a Museum Inn with 8.8 million Bath budget allowance. Part of this revenue will be spent for community development in a long run. The Social contribution campaign for the Chantabun historic riverside community preservation and regeneration is a cooperation among community, the owners of 2 houses, and Arsomsilp Institute to establish the objetction, policy, operation plan as well as exploring possibility in terms of marketing, finance, investment and operate this soical business on behalf of Chantabun Rakdee Co., Ltd. The fundraising aims to generate revenue for basic expenses for building renovation and operate the activity according to the plan with 8.8 million allowance. The campaign is opened for people in the community, Chantaburi province, or anyone who share the similar goal to take part as a shareholder with only 1,000 Baht per share. There are at least 5 committees selected from shareholders and at least one person is a representative from the community. The committees are required to set the objective, policy and operation plan as well as appointing campaign manager and other staffs. The profit after deduction will be divided into 2 parts which are provident fund paid for shareholders and income for community development budget.